Wu-Tang Clan might have nine members altogether but their network expands much further with their affiliates. Each member of the crew has their own homies they've put on. 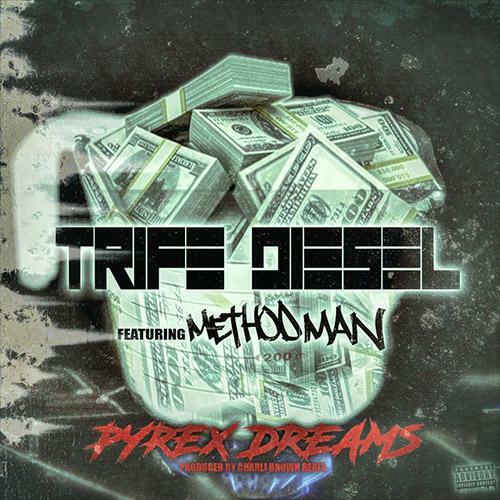 Trife Diesel is closely associated with Wu-Tang Clan through Ghostface Killah. The two hav collaborated on their joint album, Put It On The Line in 2005 and on several cuts on Fishscale. Today, he kicks off the campaign for his upcoming album, Project Pope 2 with his new track "Pyrex Dreams." Trife Diesel recruits Method Man for his latest track, "Pyrex Dreams." The song serves as the first single off of Diesel's forthcoming project. The two rappers deliver an instructional guide to selling dope. Charli Brown Beatz comes through with some bouncy, electronic influenced production for their collaboration. Keep your eyes peeled for Project Pope 2. Chris Rivers Drops Off New Track "This Is Depression"